One of the best ways to celebrate the holidays is to blend up a delicious seasonal beverage to enjoy with friends and family. It's combines all the holiday goodness of baking pumpkin pie with all the party packed in a glass of eggnog. 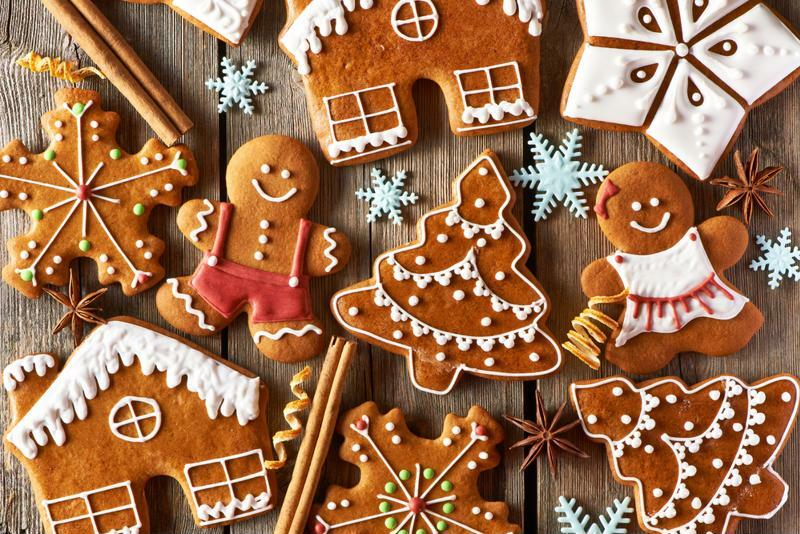 One seasonal flavor that's been gaining popularity lately is gingerbread. From lattes to cupcakes this seasonal treat, better known in loaf or man-shape, can even be enjoyed as a margarita. Start by filling your frozen concoction maker's ice reservoir to the line. Next, pour your liquid ingredients into your party machine's blender jar. Then all you need to do is hit the switch and watch as the machine does all the work. At the end you'll be left with a tasty frozen treat. This recipe makes one margarita. Just multiply for as many guests as you have. Incorporate the famous cookies into your cocktail. Alright, you know the basics, but let's step it up a notch. Here are a few tips to help turn this delicious beverage into the real star of your holiday party. Use the right garnishes - You don't want to cap this cocktail with a lime wedge and call it a day. Use a gingersnap cookie, some whipped cream or a candy cane for something truly festive. If you want to go all out, pair your drink with a little gingerbread Parrothead. Rim the glass - Rim your cup with some cinnamon sugar or crumbled cookies. Find fun glasses - This is no time to use your classic margarita glasses. Find a glass with a bold Christmas or holiday theme. These can be mugs, martini glasses or a large stein. Anything to give your spirits more spirit! Play with the recipe - This is the standard gingerbread margarita recipe, but that by no means makes it the only one. Consider switching out the gingerbread syrup for a gingerbread liqueur. Or inject a splash of something minty or a little simple syrup to get it to your preference. Make it your own. Your fellow Parrotheads at Margaritaville Cargo remind you to enjoy your frozen concoctions responsibly and obey all drinking laws.